Weather apps are rarely if ever good looking. They like to focus on functionality and sleek designs, but aesthetically they aren’t fancy or super nice or even over the top pleasing. The ones that do show some finesse in functionality usually go overboard with the fanciness and excessively rely on your smartphone’s GPS services, which can compromise your data plan rather quickly. However, if you want slick graphics in your weather updates and an app that not only does the work, but also looks great while doing it, then Weather Bug Elite is the app that ends your search for good. 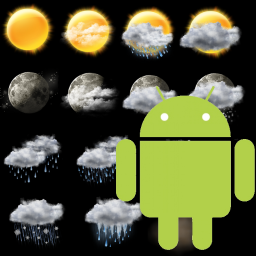 The Weather Bug Elite Android app has a number of features that are worth considering. Some of them put it higher up in the pecking order of weather apps. To begin with you can personalize the way you choose to view your weather with at-a-Glance weather widgets that are provided within the app itself. 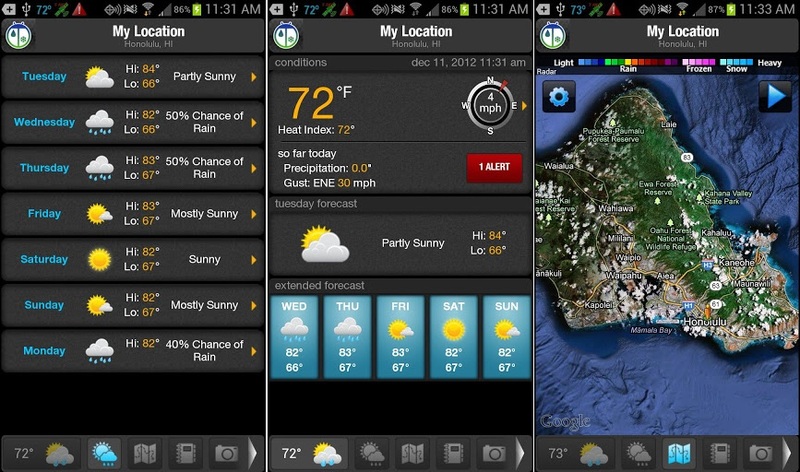 This ensures that your weather app looks like what you want it to look like. One of the key features of an Android phone is its high flexibility in terms of customization of settings. This way the app represents you as much as your phone does. Each widget focuses on different styles and lays predominant importance on different features, so you know which one is important to you and accordingly you can choose. 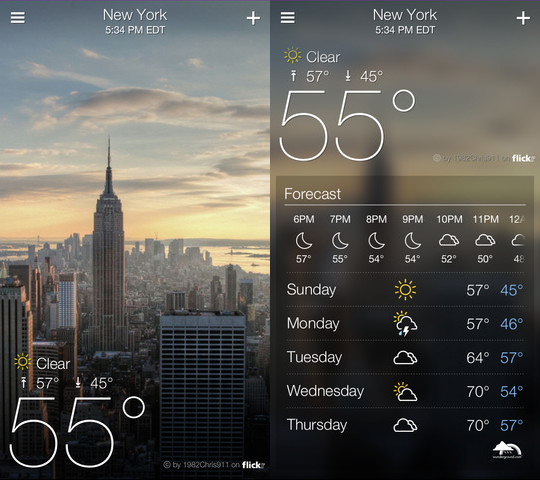 The weather widgets have large display maps, so weather movement can be seen easily. The maps make it quick to read. Information due to color coding is easier to assimilate. One can switch to large maps for better visualization and the maps are so comprehensive one can even track approaching storms using them. Landscape and portrait modes can be used, and this app automatically optimizes itself to adjust to fit either mode perfectly. The Weather Bug Elite app provides users with an in-built GPS and GPRS intelligence-driven GPS location tracker. So if you allow the app to “Find Me” it bypasses your location settings and automatically detects your location to give you accurate location-driven weather information. 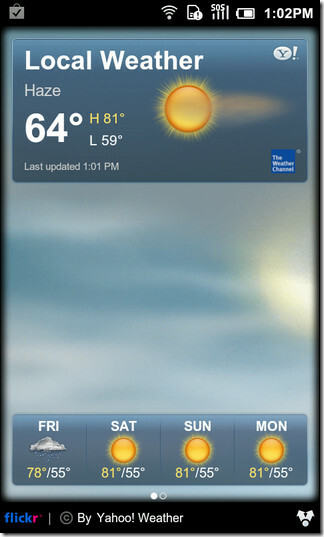 Weather Bug Elite allows you to view WeatherBug National Outlook videos in a very high resolution, which is around 640×480. It also provides static images so that bad connections aren’t stopping you from receiving vital information. This includes quick-glance snaps and even live camera images of the weather. This weather app also uses your current location to find 15 locations in a 100 mile radius of you to present you these details. Its features don’t end here. It has radar animation which is a favoured tool among weather app users and is provided by most of the other apps. You can pan and zoom through the maps and it also allows for time-lapse animation. It has a nice layered way to dividing your weather details according to the temperature, humidity, pressure and even things like visible satellite, Doppler radar, infrared satellite, wind speed and due to the extent of detailing the app can even give you a fairly accurate estimate of tomorrow’s weather highs and lows. The forecasts extend not only to the next day, but 7 days ahead. The forecasts are detailed enough to consider hour divisions. 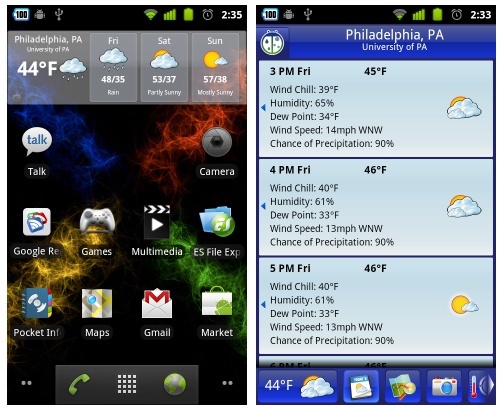 Like all weather apps sudden weather changes and disastrous weather conditions trigger alerts. Just dropping a pin on its map allows you to check for weather in any other area which does not coincide with your current location. There are so many weather apps available that it sometimes becomes difficult to know which ones to want and which ones to not want. It’s so complicated. But the only way to decide is to compare features and know that the app you are using has all the features you need and still is simple to use. Yahoo Weather app has a simple to use interface that puts other weather apps at shame because of their complexity compared to this one. I mean it doesn’t get simpler. And while being so simple it even manages to look beautiful because of its sleek and very attractive designing. Weather apps can go overboard with detailing, however Yahoo Weather app ensures it doesn’t overwhelm you with information. It keeps it simple by giving you just the right amount of information so that you know the weather but don’t know a lot of unnecessary details that one would only want to know if you were a weather enthusiast. This free app can be downloaded and then it provides enough weather details to know simple things like what to wear for the day, whether a trip on that specific day would be a good or bad idea and what kind of things to pack if you decide to go trekking, or picnicking. That’s what’s ultimately important to the end user. And that’s exactly what this app does for you. Forecasts are easy to understand. The Yahoo Weather app automatically picks up your location by using the in-built GPS system in the phone being used and accordingly informs you about the weather. It gives the basic information needed like temperature so that clothes can be decided and supplies can be packed along with forecasts for the area to plan in advance and the usual weather information. You can choose to add other locations from where someone you know might be travelling or you might want to travel to and even a city name or a zip code. This works equally efficiently because the Yahoo Weather app pulls up weather information for that area. The Yahoo Weather Android app uses the much in vogue style of swiping that is a favorite which touch screens as it makes accessibility faster. Swiping left and right moves you through the locations you have selected or set and are thus tracking while a downwards swipe refreshes the app so that you have the latest information at your fingertips. Swiping up reveals additional information that only one really wanting to know more can check. This includes hourly updates and forecasts for the next 11 hours and even temperature conditions that are expected and weather conditions that can prevail. Followed by a 5 day forecast, it gets quite comprehensive. But by not putting it in the main screen the app segregates the complicated details from the simpler ones that are more frequently used. Photos of various areas are presented to the user via stylish topography pictures showing accurate temperature details and current movements. However, one thing that might upset people is that the Yahoo Weather app has no notification center integration, thus making it important that one physically runs the app to review the information.